Haikyu!! manga new anime series slated for 2019. Haruichi Furudate’s Haikyu!! manga series will be getting a new TV Anime series. The news was revealed by during a panel at the Jump Festa ’19 event on Saturday. It’s not sure if the anime show will be a brand new series or the fourth TV anime season. However, more details will be made available a “kickoff event” for the new series on September 22. 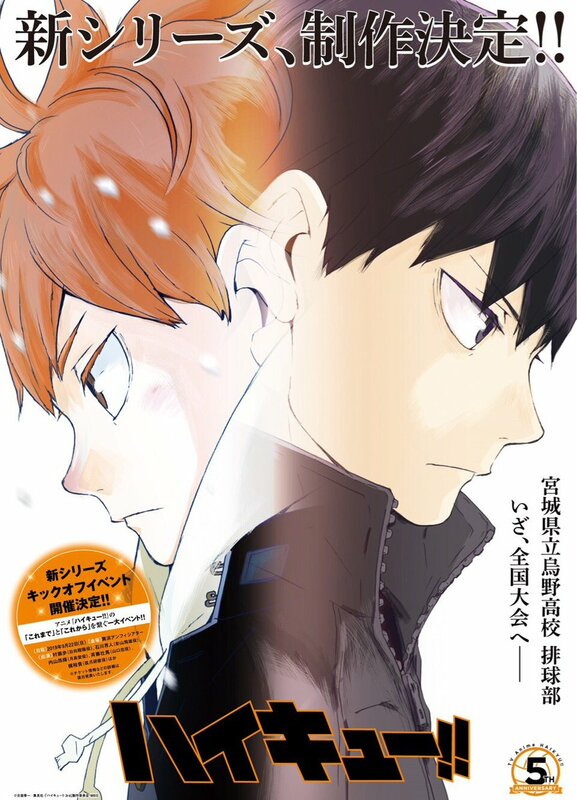 Haruichi Furudate started publishing the original manga as a one-shot in Shueisha’s seasonal Jump NEXT! magazine, before serializing the manga series in Weekly Shōnen Jump in 2012. A TV anime show adaptation by Production I.G first premiered in April 2014. The second season premiered in October 2015, and the third season premiered in October 2016.